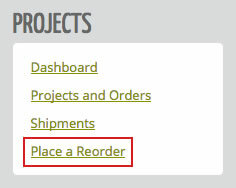 Select the project that you wish to reorder. You will be able to edit either the quantity, the production time or upload new Art or Content files. What happened to my project?